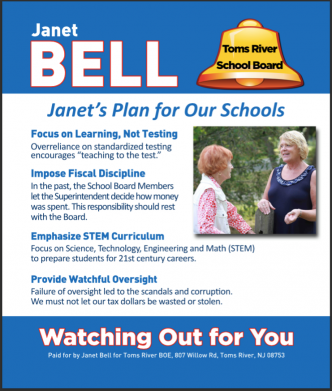 Advertising resources are precious during campaign season, but two local tickets drew scrutiny after a local news website recently uncovered the fact that identical messages were used in campaigns for both the Brick and Toms River boards of education. 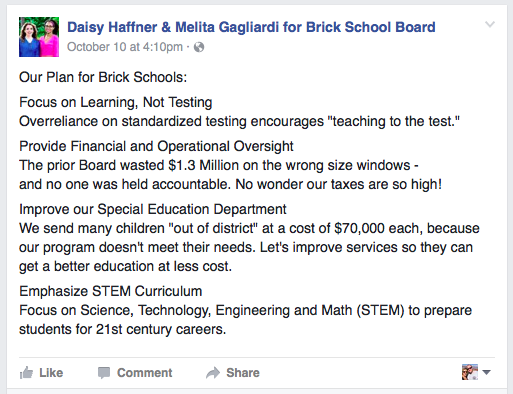 In Brick, the messaging supports the candidacy of Daisy Haffner and Melita Gagliardi. Though they are not running under the same banner, the campaign materials are designed nearly identically to those the “Clean Slate” team used in last year’s election, during which they won four seats to take control of the board. 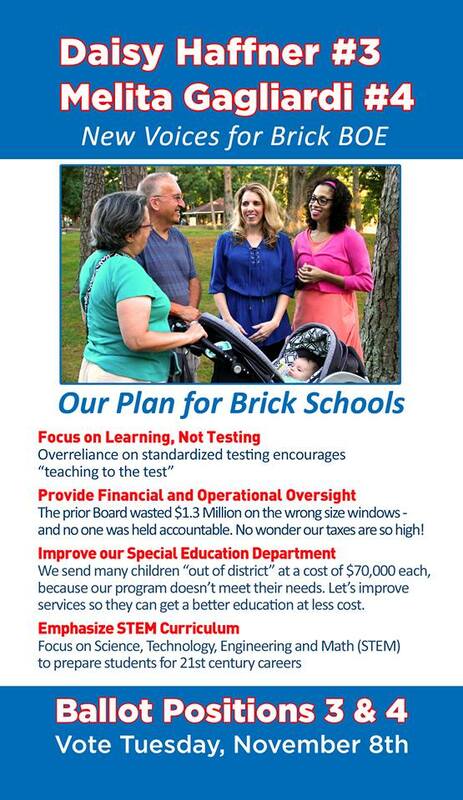 Mitch Seim, a Democratic campaign consultant who is providing his services to the Brick ticket, said the campaigns are focusing on similar themes, which may have led to an overlap in messaging. “They’re running about issues that voters care about in both towns,” said Seim. 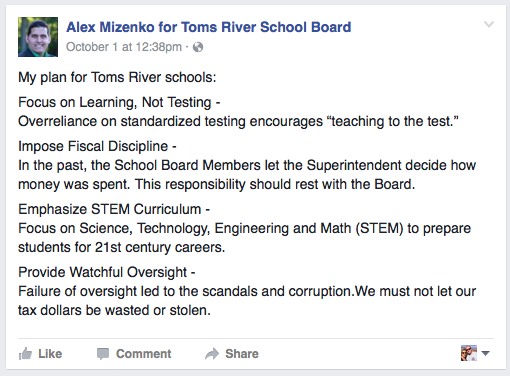 The Toms River candidates have also eschewed the “Clean Slate” banner this year, which was successfully used to oust board members associated with disgraced for superintendent Michael J. Ritacco. Seim said he is not working closely with the Toms River slate this year – a “quiet election” since local races have been overshadowed by the presidential race, Seim said. Still, Seim feels his candidates are connecting with voters.